While bidets are not as prevalent in American homes as they are in Europe, these bathroom furnishings have gained traction among some homeowners who are looking for a sanitary touch in their space. According to CantonRep.com, if you have a lack of space in your bathroom, adding a bidet seat to your existing toilet may be a great compromise. Aside from its sanitary conveniences, many of today's bidet seats come with unique features that look like they belong in the bathroom of the future. With night lights, seat warmers, dryers and power-saving benefits, this product could make every trip to the commode a unique experience. The news source suggests having an electrician hook up the seat to your home's power grid. While the plumbing connections aren't that complicated, it's best to have a professional do the job to ensure you'll get many years of steady service. 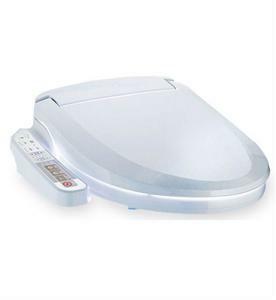 If you're in the market for a huge upgrade for your toilet, a bidet seat could be the best solution. What tips do you have for homeowners who are installing bidet seats in their washrooms?